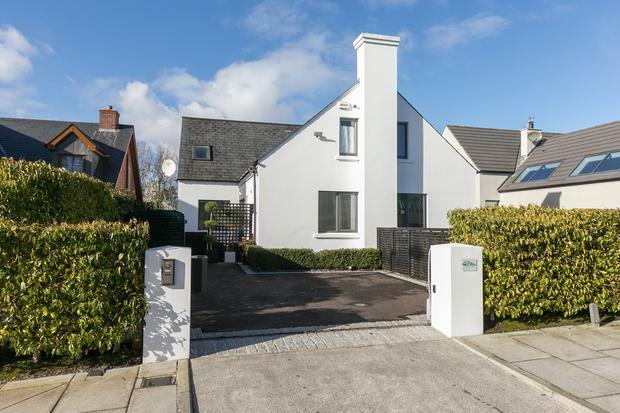 This ultra trendy high specification home enjoys a top location in Belfast’s popular Stranmillis area. Built in 2011, it was designed by leading local architect Des Ewing to provide stylish living for professionals and families. 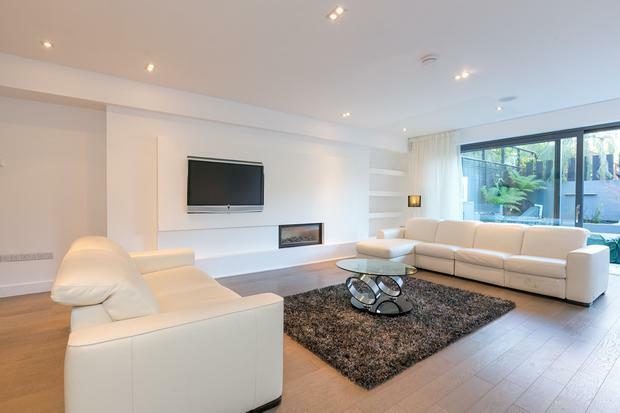 Inside is around 2,600sq ft of beautifully finished, contemporary accommodation laid out over four floors. There are four bedrooms, master with en suite shower room and built-in wardrobes, an open plan kitchen/living/dining area, a large lounge, a snug, family bathroom, utility, ground floor cloakroom and two walk in store rooms. Oversized contemporary black framed glazing is a main feature throughout the property. 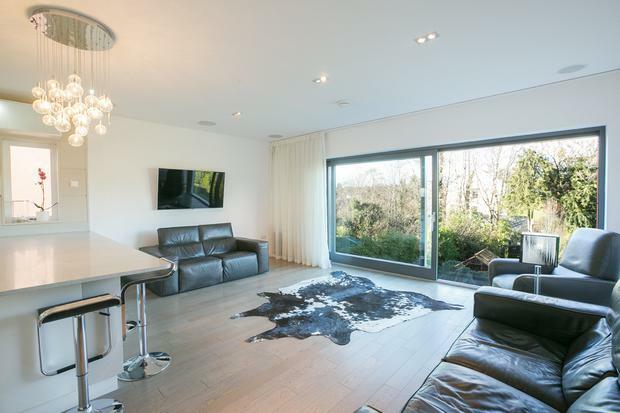 This modern home has also been fitted with smart technology and has a ‘whole house’ audio/video system from Elan G which can be controlled with an iPad. It delivers a variety of audio and video sources such as satellite, TV, CCTV, radio, digital music etc to 10 zones around the home without the need for cabling or devices. All of the rooms are fitted with ceiling speakers and the main zones are fitted with surround sound. The home control system is linked to the alarm, CCTV and garden lighting and can be further expanded if desired. You know you have arrived somewhere special immediately as the property enjoys a private setting behind electric gates. Impressive solid wood double entrance doors open into the hallway. Oak driftwood flooring and a solid balustrade formed from plaster and painted white with a stainless steel handrail is the first of many contemporary designer features. There is a ground floor cloakroom with bespoke storage units and WC. A utility room is fitted to match the main kitchen by Springfarm Joinery with stainless steel sink and plumbing for a washing machine and tumble dryer. The bright kitchen/living/dining room opens via large sliding glass doors onto a glass balcony overlooking the beautiful back garden. 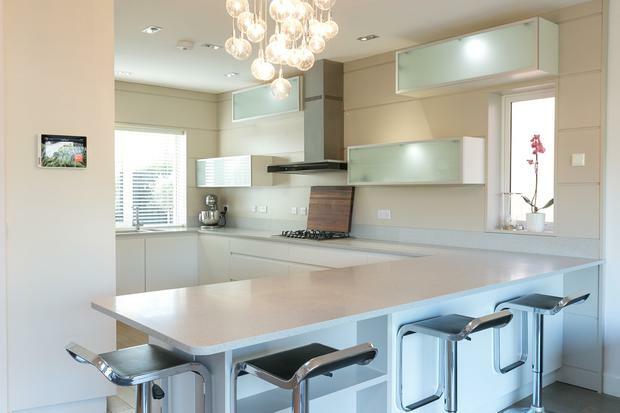 White units and bespoke wall cladding by Springfarm Joinery are topped with Mistral Winter Drift worktops. All the appliances are included and there is a Miele fridge/freezer, microwave, oven and glass extractor plus a Bosch gas hob and dishwasher. More oak driftwood flooring keeps the space sleek and contemporary and there is even a space created for your flat screen TV. The main lounge is a vast open space with a lovely Gazco bespoke fireplace and contemporary glass sliding doors opening onto the back garden. This great space is also finished with oak driftwood flooring. There is also a cosy snug or study which leads into a large walk in storage room. 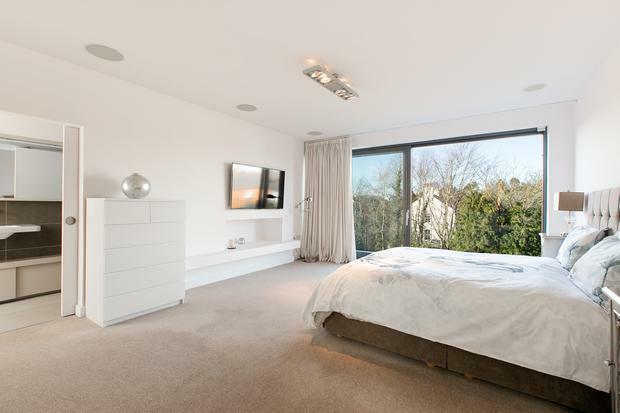 The bedrooms are all bright, spacious and contemporary in finish and styling. The master has more of those fabulous floor to ceiling sliding glass doors which opens onto a contemporary glass balcony. It also has bespoke built in storage by Springfarm Joinery and a ready-made space for your TV. The en suite is accessed via an oversized sliding door which makes another design feature and inside is a shower, wash hand basin, large mirror with shelf, a chrome towel rail and more attractive storage built by Springfarm Joinery. The family bathroom is a decadent space with part tiled walls and ceramic tiled floor and as well as a bath, there is a shower cubicle, chrome towel rail and another oversized mirror with projecting shelf surround. Outside is a delight with a large, private back garden which has been extensively landscaped and sculpted by award-winning landscape designer Kevin Cooper. It offers a wonderful private oasis for outdoor entertaining and features multiple terraces, a reflecting pool, greenhouse and wood fire pizza oven. 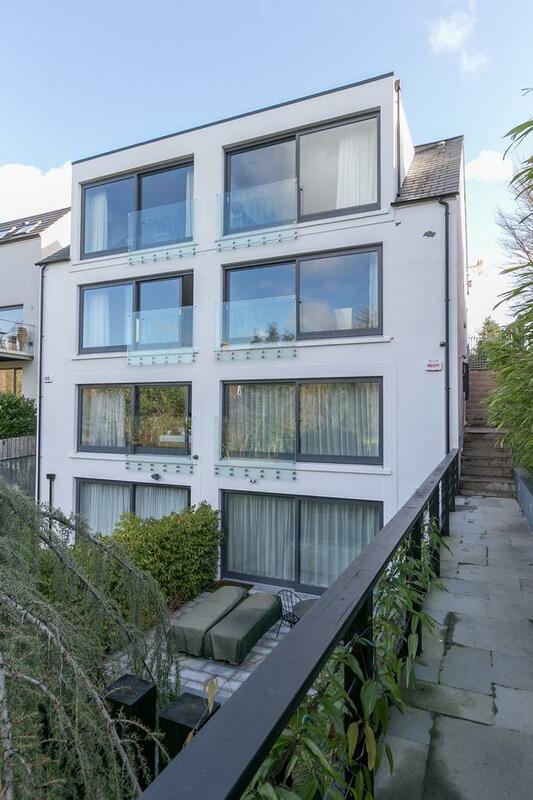 This property is currently on the market, so for more information on cool & contemporary living click here. This entry was posted in Architecture, Belfast, Contemporary, des ewing, Design, For Sale by Anita. Bookmark the permalink.